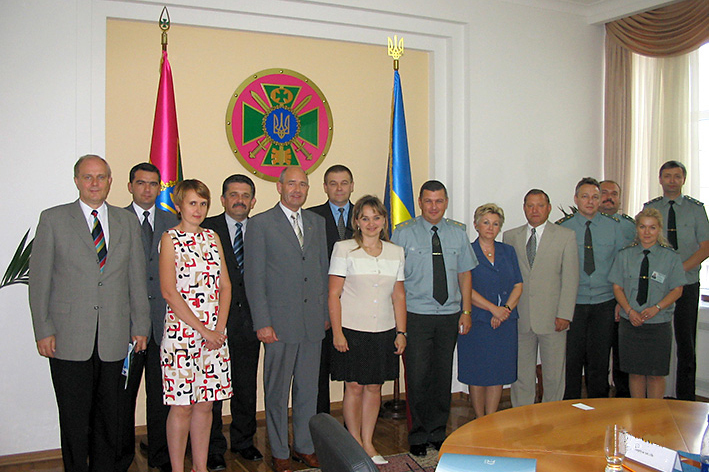 Border Guards, Police, Local government – Polish/ Ukrainian cooperation on fighting organized crime and sharing experience on uniform services reform with Ukrainian partner organizations (2003-2006). 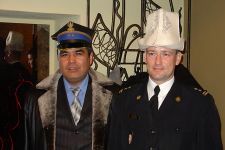 Ukrainian Border Guards Reform - towards the European Union (2006). The EID was first non governmental organization working directly with the Ukrainian Border Guards, Militia and local government on passing democratic experience on democratization and transformation. During both EID projects targeting uniform services - over 18 training workshops took place in Poland with the participation of over 350 officers and officials, 6 visits to Ukraine and works exchange placements for over 90 Border Guards officers were implemented. A series of inter – departmental workshops on combating border crime and corruption and two big conferences with participation of State officials from both countries took place. 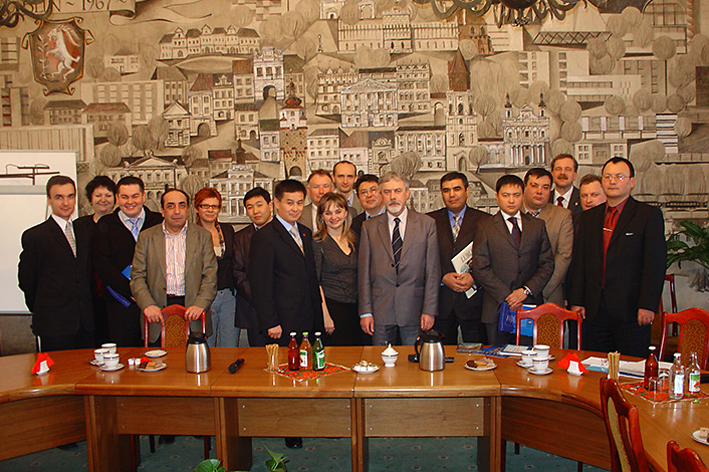 Executive Development Program for Ukraine for Presidential and Prime Minister administrative staff (2006-2008). Ukrainian public servants were placed in Polish Ministries/Departments. For several weeks, these administrators became familiar with the operations of Polish Ministries and their departments. In particular, they were able to observe the legislative and administrative changes that took place as a result of Poland’s entry into the European Union. Understanding these changes would help Ukraine to better adapt to the European labour standards. The EID encouraged by positive response of EDP project offers administration study trips for other Eurasia countries. Study trip for the Kyrgyzstan Presidential administration – NDI (2007). Kyrgyzstan Presidential Administration visit took place not only in Warsaw, where participants got familiar with central administration institutions but also in other regional city - Lublin. It allowed participants to see the dynamics and communication between central and local level of Polish administration. 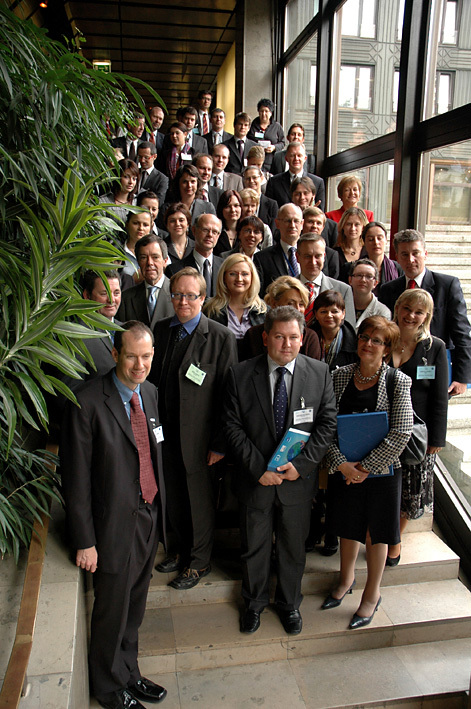 Foreign aid – tendencies, responsibilities, experience – a Seminar executed in partnership with the Polish Parliamentary Committee on Foreign Affairs (2008). The purpose of the Seminar was the transfer of information and experience of over a dozen European countries as well as the USA in the areas of the functioning and development of foreign aid institutions, specifically in terms of democratization and development. The seminar was designed to offer practical recommendations to the Parliamentarians sitting on the Foreign Affairs Committee as well as to representatives of the Polish Department of Development Cooperation within the Ministry of Foreign Affairs, who are, in turn, able to make use of the foreign experience of public and non-governmental institutions. These institutions were represented by key leaders in the development aid field from around the world. The Seminar was supported by The Speaker of Polish Parliament – Bronislaw Komorowski, Minister of Foreign Affairs – Radoslaw Sikorski and Chairman of Parliamentary Committee on Foreign Affairs – Krzysztof Lisek.